Create Embellish Adore: Hey Chickie! 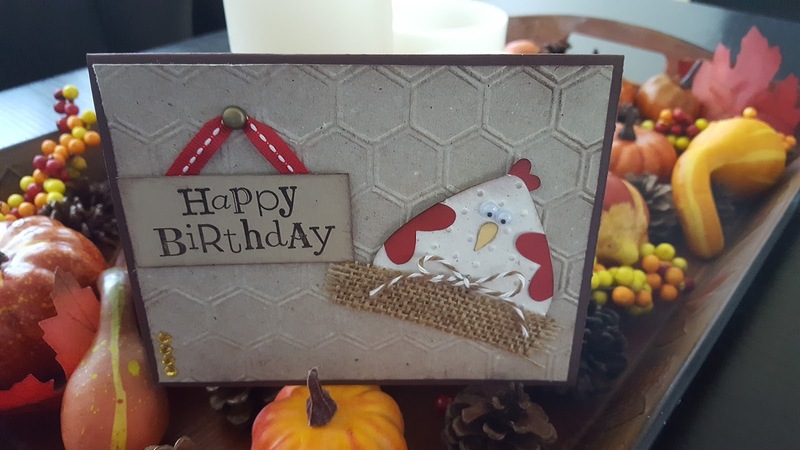 I needed a birthday card for a friend who has recently acquired a few chickens... so I thought this would be PERFECT for her! I wanted it to have a country feel, so I embossed it a lot, and sponged the edges - not that it makes a difference but i loved the look! 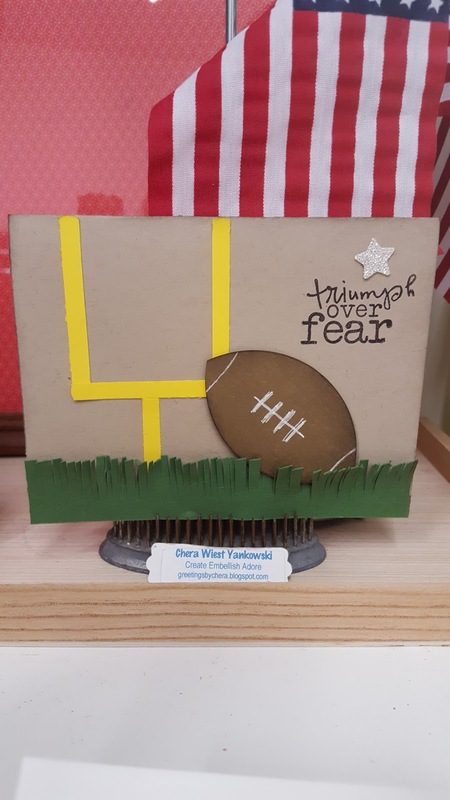 And since it football season, and I have some friends whose fellows play, I thought this make a great statement card for before the season started. I used their football numbers to identify whose card wasz whose, and rather enjoyed putting these together!